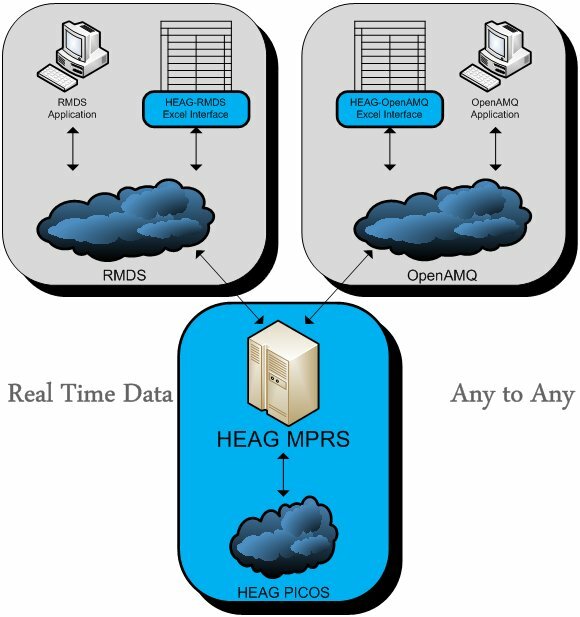 HEAG HMDS is a real-time data store and distribution service. On each of the supported protocols and data are received to all who have subscribed to the data item in real time across all supported protocols redistributed. One of this subscribed clients is our multi contributing system PICOS, of course. Thus allowing HEAG HMDS data exchange between RMDS and alternative distribution mechanisms in real time. Besides RMDS support HMDS our HEAG MQS messaging system, which is based an the free Advanced Message Queuing Protocol (AMQP) supported by some well-known companies.